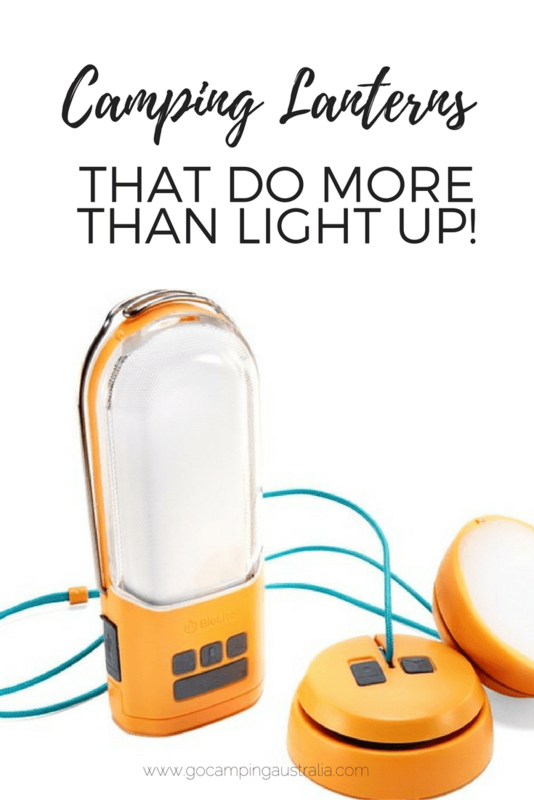 6 Camping Lanterns that Charge Your Devices Too! Recently, the state I live in, South Australia, lost all power. The whole state. Not just a suburb. And it was like that for hours (and for some people, days). All around the state, people at home were looking for candles or torches or lanterns to light up their houses and when I looked outside mid-evening most homes were in pitch darkness. Thanks to our camping gear, our house was fairly well lit. Our love of some decent camp lighting, including headlamps and lights that power from a 12V battery, meant that we had plenty of light in the house and really, the power blackout didn't impact us too much (though the lack of wi-fi did make the children prowl around the house like caged lions). Another problem with this lack of power situation, was phones all over South Australia, were running low on battery life (many phones did outlast the mobile phone towers, which lost their battery backup mid-evening). But mobile phones were crucial as we used them to get updates of what was going on, plus, connect with others. We were told by authorities, to "conserve our mobile phone batteries". 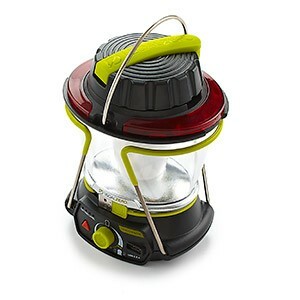 But it got me thinking in regards to camping gear - what sort of camping gear could you use in a blackout that would be useful? A good camping lantern was one thing. A device that kept a phone charged was another. How about one device that did both? For campers, that can only be a good thing! So what is out there? Read on to find out how technology and camping can go together harmoniously. 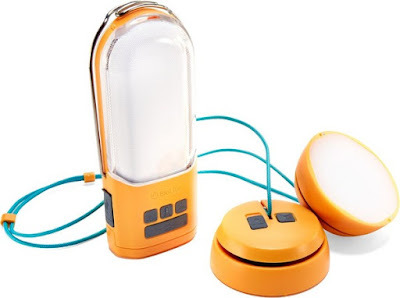 This cool looking collapsible lantern, which sort of looks like something that would land on the moon can charge your devices, whilst running off a lithium battery (or AAA batteries). Plus it collapses down to half its size. What's not to love about collapsible camping gear? 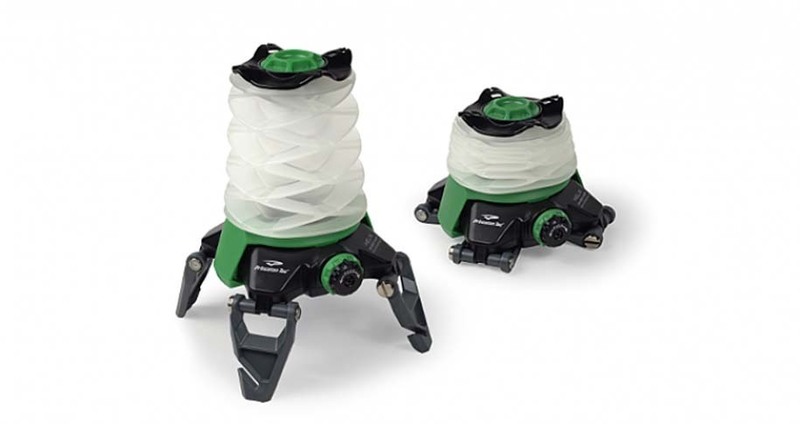 The ability to move the legs to aim the light into a spotlight and a burn time of up to 22 hours, this would definitely help many get through any power shortage, at home or when camping. If you hate your camera or phone running low on battery life, plus like light when camping, then the Moji by Black Diamond could help out. 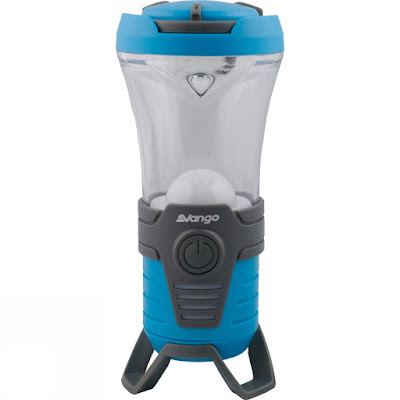 With a rechargeable Li-ion battery or taking AA batteries, and up to 250 lumens, weighing only 450g, and ability to dim the light, this is a functional camping light that could suit all sorts of campers. This rocket lantern has a big plus of being able to be charged by your car adaptor, so no batteries needed - but it does come with the built in rechargeable battery like the other lanterns mentioned. Once powered up, it has yet another function. A bluetooth speaker. So you have sound, light and powered devices. It does everything but land on the moon. This lantern can be charged via the sun - just crank it up for 1 minute, and get 10 minutes of light. 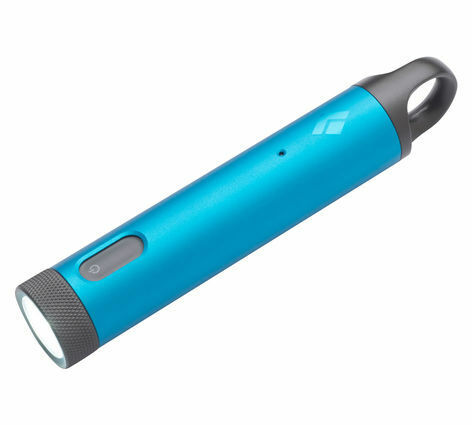 Or you can charge via USB or connecting it to a portable solar panel and once fully charged, can last up to 7 hours on a single charge. Plus of course, your MP3 player or phone or GPS can get charged at the same time. At 250 Lumens, this light is going to be bright enough around your campsite to do all the things you need to do. 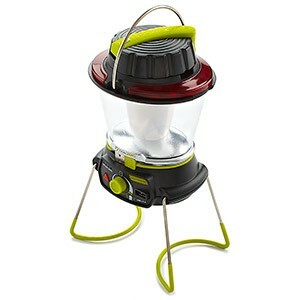 Read a review by Treehugger.com on this lantern and its capabilities. This is quite the set up. It's a powerbank that can charge phones, Go-Pros or provide light for up to 72 hours. Plus you get sitelights, which are chainable overhead lights which means you can string up part of your campsite to get the light you want, where it's needed. And it all fits in the palm of your hand. This one differs from the above lanterns, as this is a torch. Torches don't often get discussed much when talking about camping gear, because everyone loves hands-free lighting don't they? But this torch does do the one thing it needs to do, apart from light. It's going to charge your phone via a USB. So the humble torch might just get a place back in your camping gear thanks to Black Diamond. This is just a few of the lanterns out in the market place which give you light plus more. Most of the good (and available) ones, are thankfully available from retailers we use and recommend. 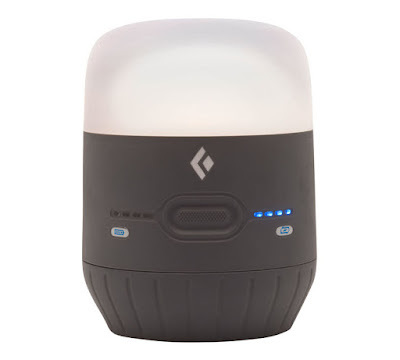 You are paying for the technology which gives you a multi-function lantern, and when you are out in the bush (not just in suburban home during a storm), that sort of function might be worth paying for. I know it's nice to camp without technology, but with it being such a big part of our lives these days, and with phones doing so much more than just making and receiving calls, it is definitely handy to be able to have them charged when you need them. Some of the above links we are affiliated to. To find out more about our affiliates, please read our Disclosure Policy.